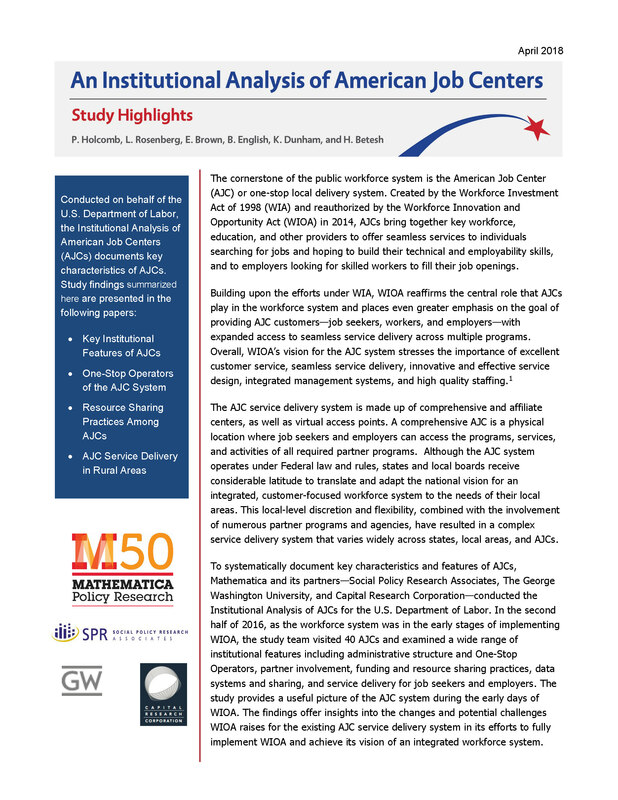 Conducted on behalf of the U.S. Department of Labor and partnership with Mathematica Policy Research, the Institutional Analysis of American Job Centers (AJCs) study team visited 40 comprehensive AJCs in 2016 to document key characteristics and features of AJCs. 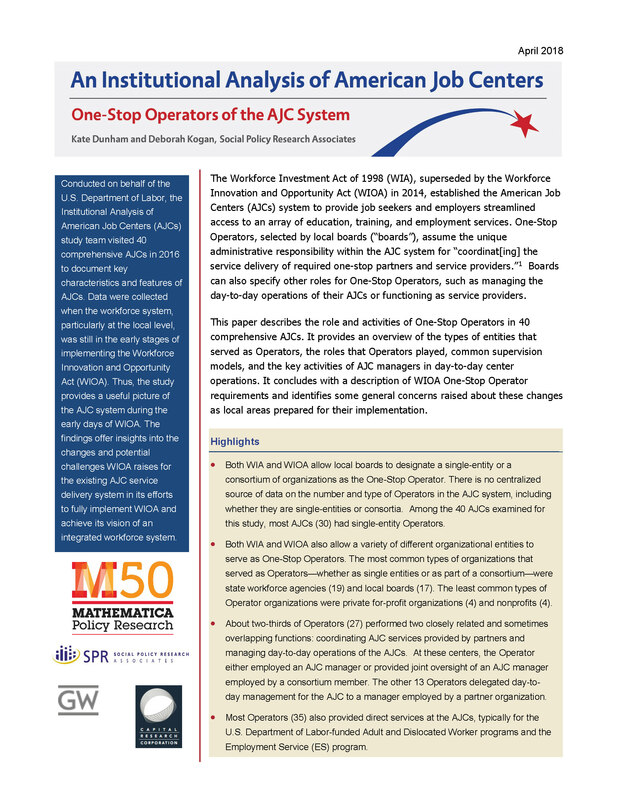 The findings offer insights into the changes and potential challenges WIOA raises for the existing AJC service delivery system in its efforts to fully implement WIOA and achieve its vision of an integrated workforce system. 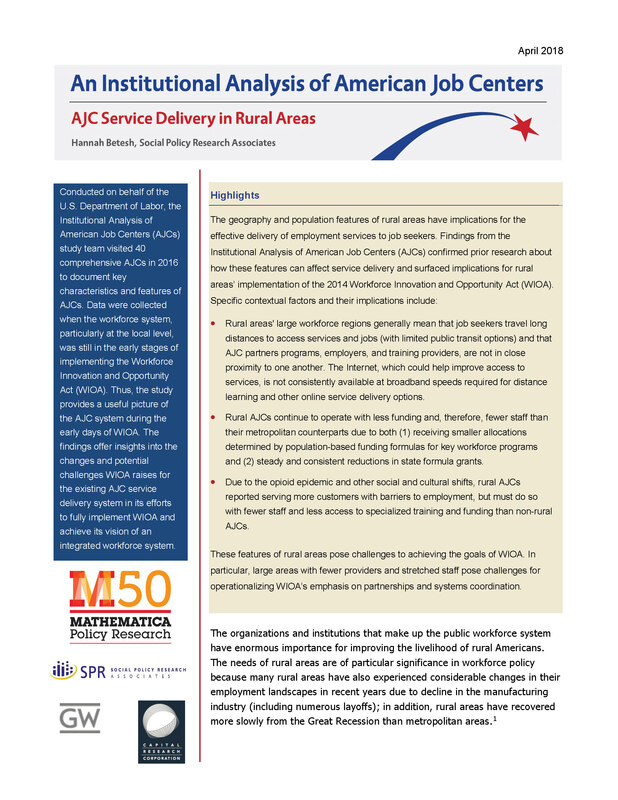 See our briefs on Study Highlights, AJC Service Delivery in Rural Areas, and One-Stop Operators of the AJC System below.